Rilski got off to a great start which included three triples by Gugino and one by Georgiev to take a 16-6 lead. After that the team managed to stay in front with Sigal closing some of the gap. After ten minutes it was only 4 points but the visitors started the second quarter on a 7-0 run to take 3-point advantage. At the middle of the period Rilski scored 8 straight points which put them from 4 down to 4 up. Sigal though responded with two triples and took 2-point lead at the break. The second half opened up with a three-pointer for the home team but the visitors made 5 points in a row to re-take the lead. Then the teams exchanged baskets as after some misses from both sides, Berisha scored to put Sigal up by 5 with 1.49 to play in the third. The difference remained the same after 30 minutes as nothing was yet decided. The fourth quarter opened up with a triple by Hulls and then another basket for the visitors made their advantage 10. With 5.49 to play Hulls scored another triple to make it a 13-point game. Rilski answered with a basket but a minute later Mavunga added another three-pointer and decided the new champion. Until the end the visitors controlled the game and the hosts never had a chance. 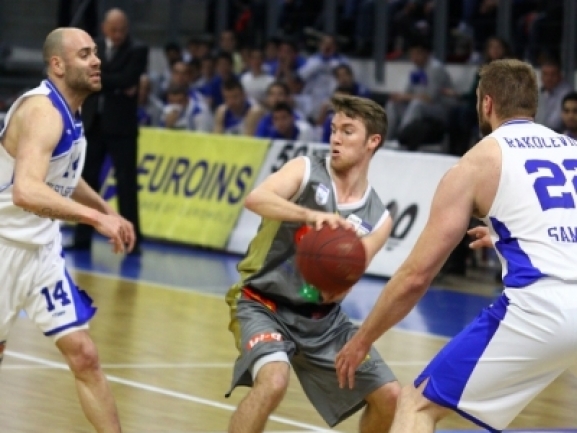 Jordan Hulls was the top scorer for the winners with 22 points while Julian Mavunga added 16. For the home team Tony Gugino had 25 points while Vernon Taylor scored 15.